Chemical peels use carefully tailored chemical solutions to exfoliate the skin, causing it to peel away revealing smoother, more even skin. Chemical peels are differentiated by their ingredients, concentration and how long they are left on the skin. They may be used on the face, neck, hands or other areas of the body. 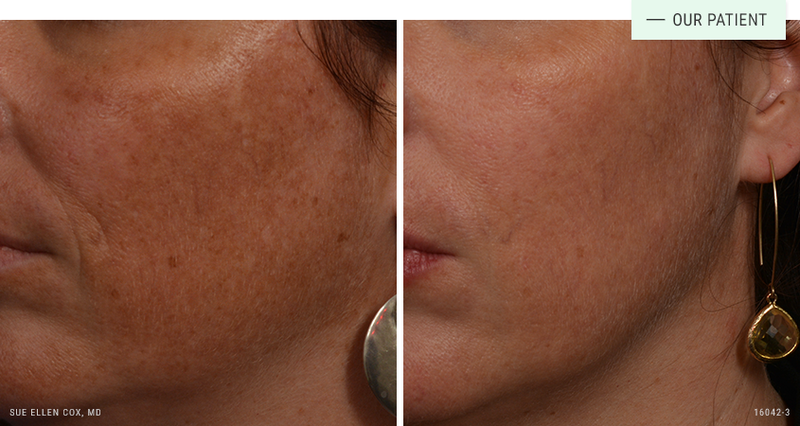 Before | After: Post one chemical peel for pigmentation. 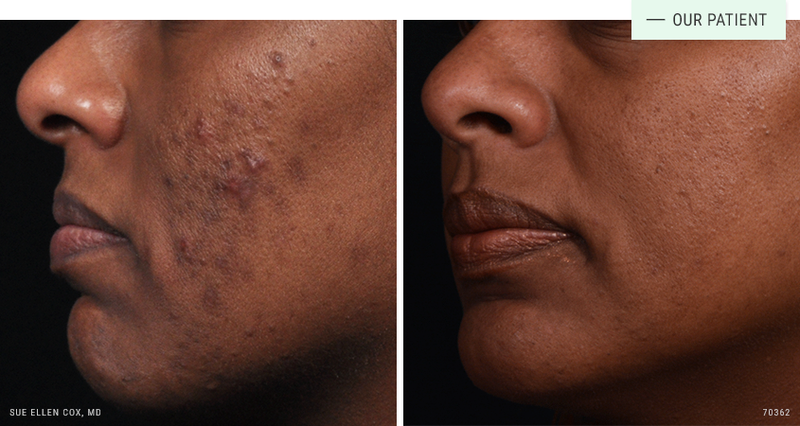 Before | After: This patient received a series of chemical peels to address acne outbreaks and skin texture. 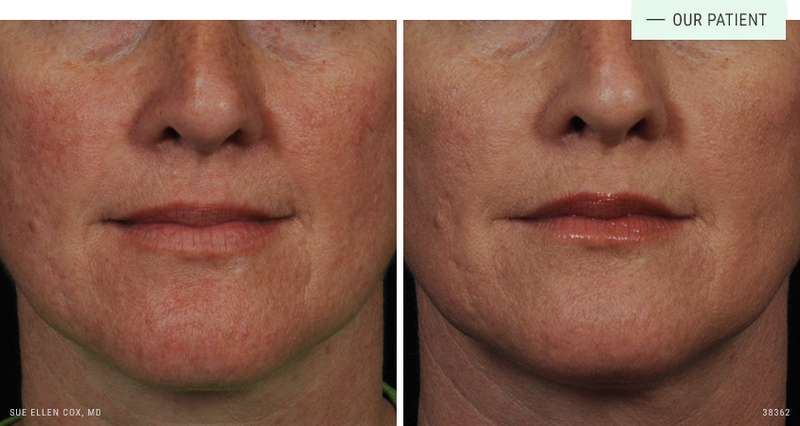 Before | After: Chemical peels are a good option for more subtle skin concerns, such as mild tonal and texural issues. Chemical peels have an excellent safety profile. Like any surgical or non-surgical procedure, there are risks associated. Dr. Cox stresses the importance of finding an experienced provider supervised by a physician who understands the finer points of chemical exfoliation treatment. Chemical peels are very well tolerated. The best peel for your unique goals will be selected and applied to your treatment areas. You may experience a mild tingling or stinging sensation while the chemical solution takes effect. The procedure typically takes about 15 minutes. Chemical peels require limited downtime. The healing process differs with each specific chemical peel treatment. Immediately after treatment, your skin may appear pink and tender. Patients compare this feeling to a sunburn. Several days after treatment, the dead skin will begin to peel, revealing noticeably smoother, more radiant skin. Different chemical peels produce different results. The range of peels we offer can produce an improvement in fine lines and wrinkles, uneven texture and pigment. A series of treatments produces the best results.